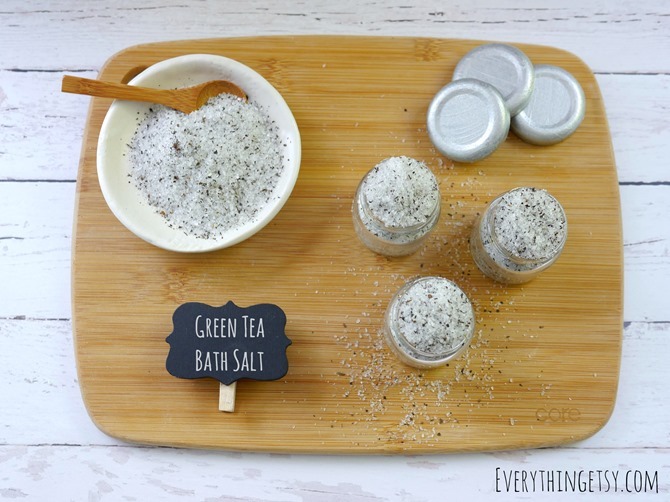 This Green Tea Bath Salt smells amazing! 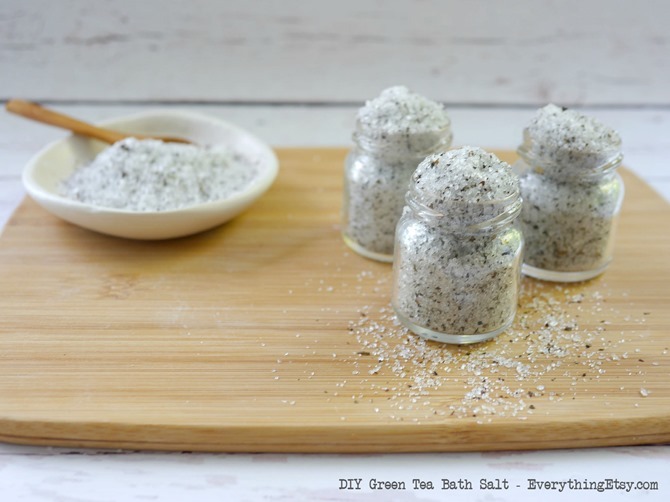 It’s a simple DIY project that’s great for Mother’s Day, a friend’s birthday or a sweet wedding favors. There are so many benefits of each ingredient! I started with some recycled little jelly jars. They’re just big enough and oh so cute! 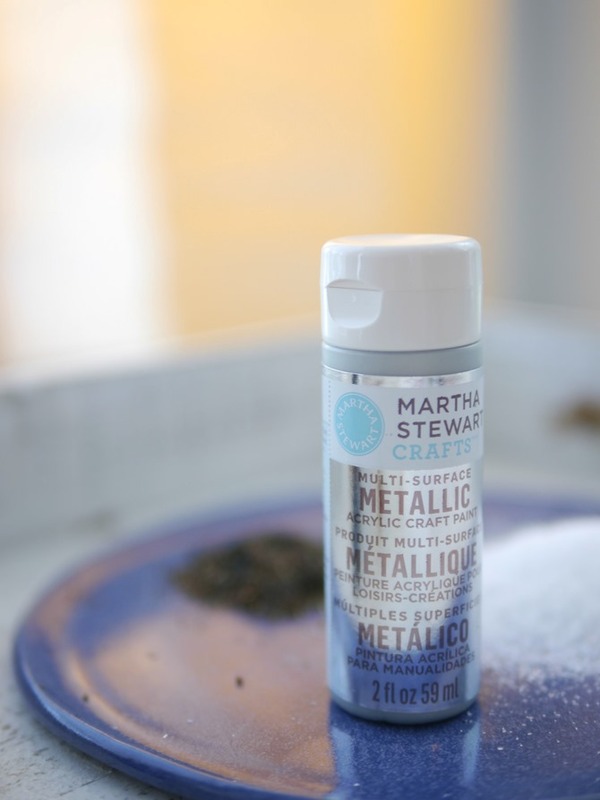 I used this beautiful metallic paint for the jar lids. I only use doTERRA Essential Oils! If you have any questions at all about buying doTERRA Essential Oils wholesale read this post for more information. 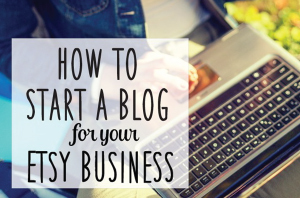 I’ve included Amazon links above to let you know exactly what I used. I have Amazon Prime so I order craft supplies all the time…love it! 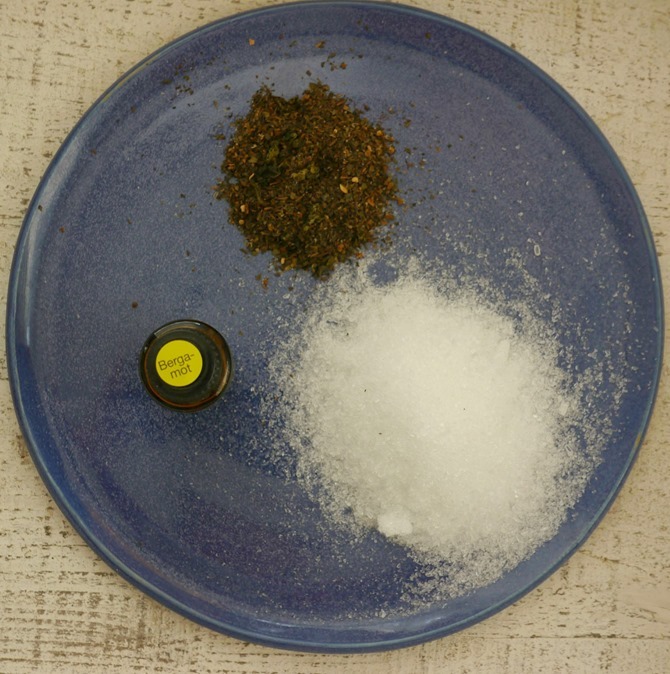 For each cup of Epsom Salt add 2 Green Tea bags worth of tea. Mix well. Then add 6-8 drops of doTERRA Bergamot Essential Oil and mix it all together. Breathe in all that amazing smell! It even looks beautiful! Pile as much as you can in each jar. 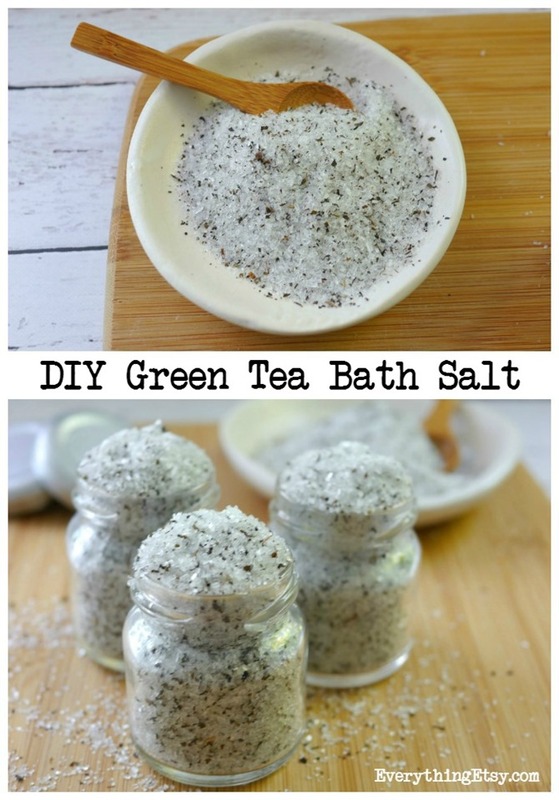 Make a bunch and spread the relaxation! There you have it…an easy DIY gift idea. Don’t forget to save a jar for yourself. 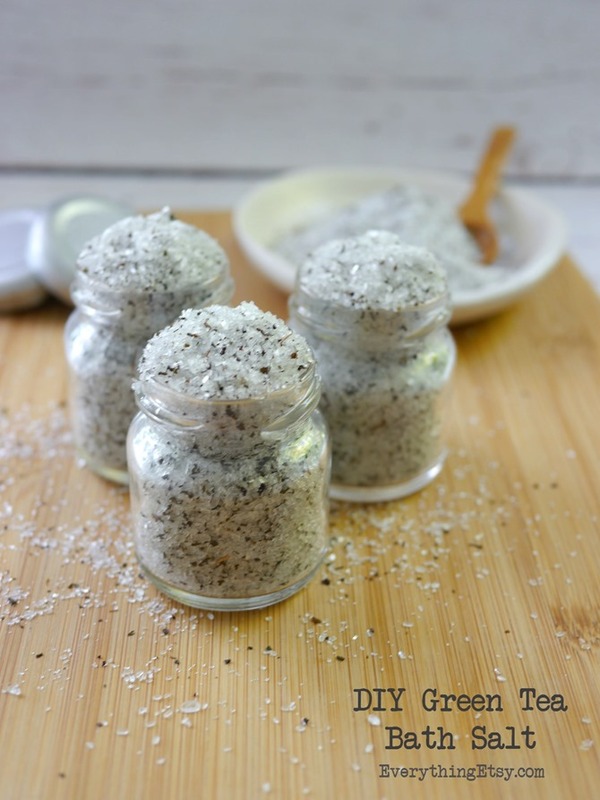 Looking for more DIY Essential Oil Gifts? 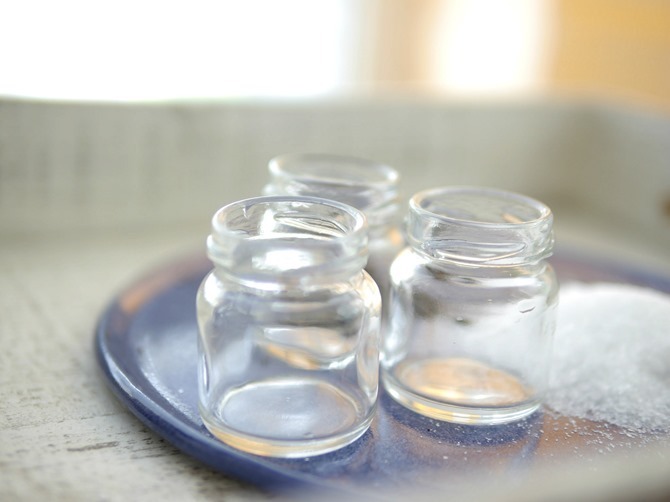 You’ll love this list of tutorials…DIY Essential Oil Gifts to Make Now! 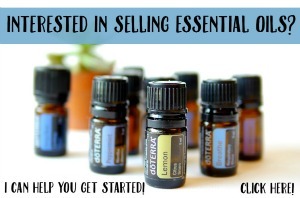 Interested in learning more about essential oils? I can help! I’ve used them daily for the past few years, and I love them! Check out this post for more information…How Can I Start Buying doTERRA Essential Oils Wholesale or email me at Kim@EverythingEtsy.com! 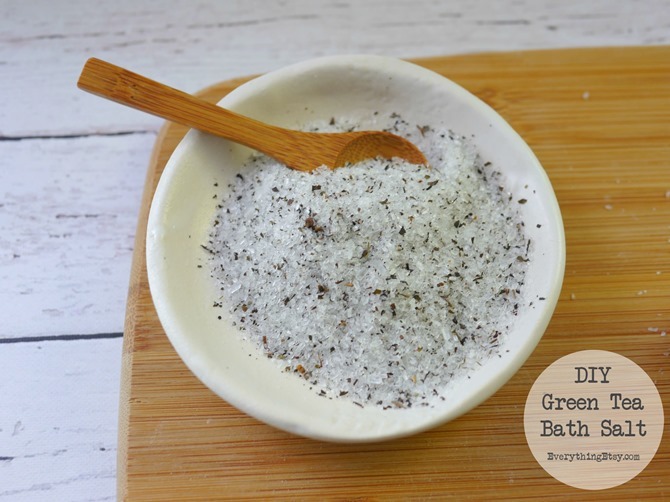 What amount of the green tea bath salts do you use in each bath? I’m so glad I came across your site. I like it that there are so many ideas, instructions, educational info, recipes, etc., in one place. My sister & I are now both retired & have been looking forward to making things together & selling them at craft shows, farmer’s markets, fall festivals, & making gifts for family & friends. Your site gives us a wealth of information & will enable us to make our dream a reality! Thank you so much! Next Post Advertise on Everything Etsy!